Primo Restaurant offers parking directly in front of the building and the majority behind the restaurant. 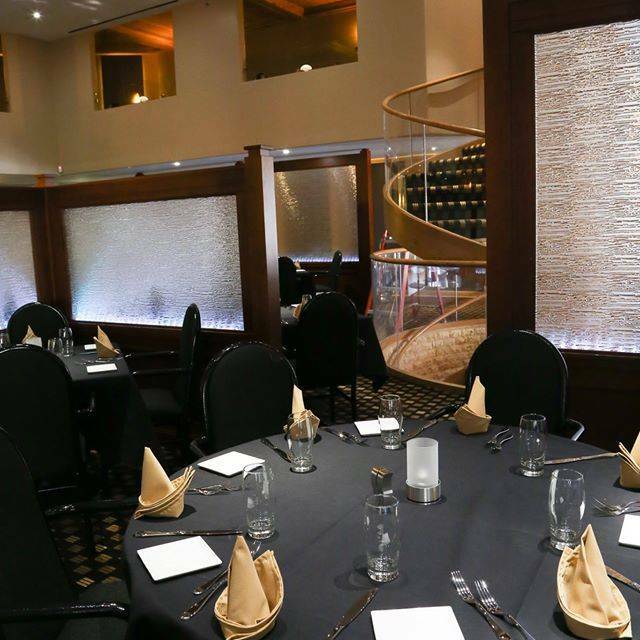 While dining at Primo Restaurant, be sure to take a walk down the beautiful spiral staircase into the most exquisite day spa Salt Lake Has to offer. Richelle's thrives on offering their clientele latest technologies, equipment and a properly trained, well educated staff. Their variety of services is what truly sets Richelle's apart from her competition. From salon services, spa treatments, nail services, versa spa (spray tan) and waxing; Richelle's Day Spa has something to accommodate anybody's needs. Call today and get on your way towards a relaxing, rejuvenating experience, in a luxurious facility, that you deserve! Here at Primo Restaurant, we like to accommodate the needs of our guests. All of our catering operations are 100% negotiable. Call Primo Restaurant today and we’ll work out a catering option that works best for you! 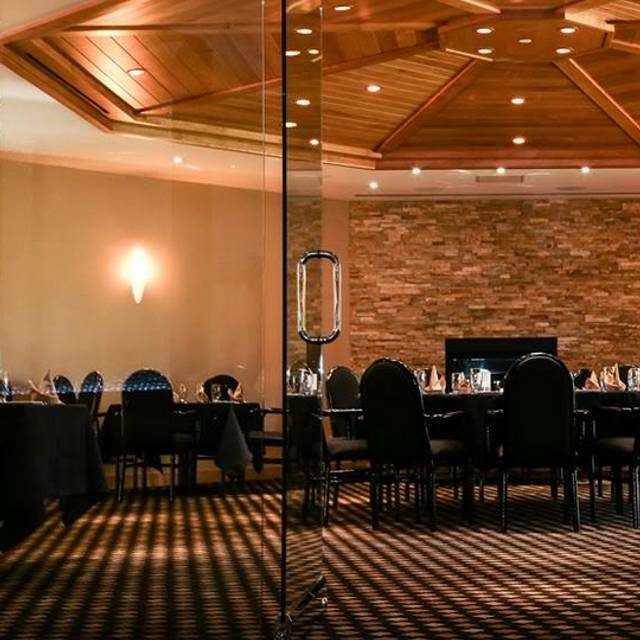 Primo Restaurant offers several ways to experience private dining. We have 3 separate party rooms ranging in capacity of 10-80 guests. 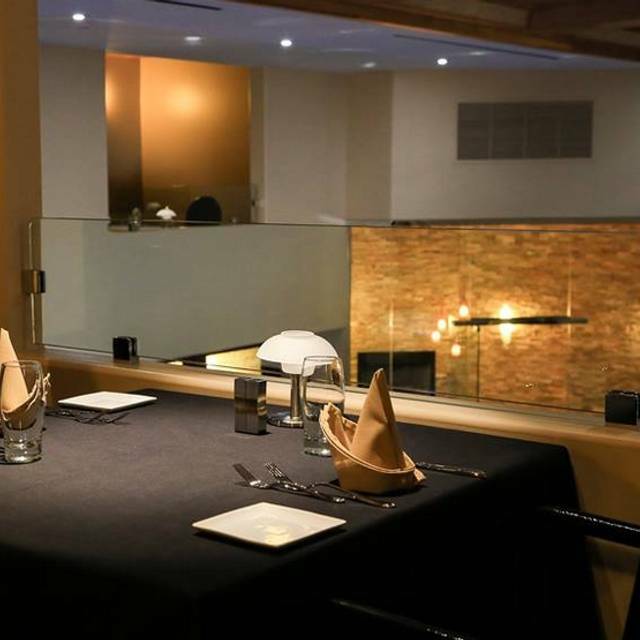 We’ve also reserved our entire restaurant for special occasions. 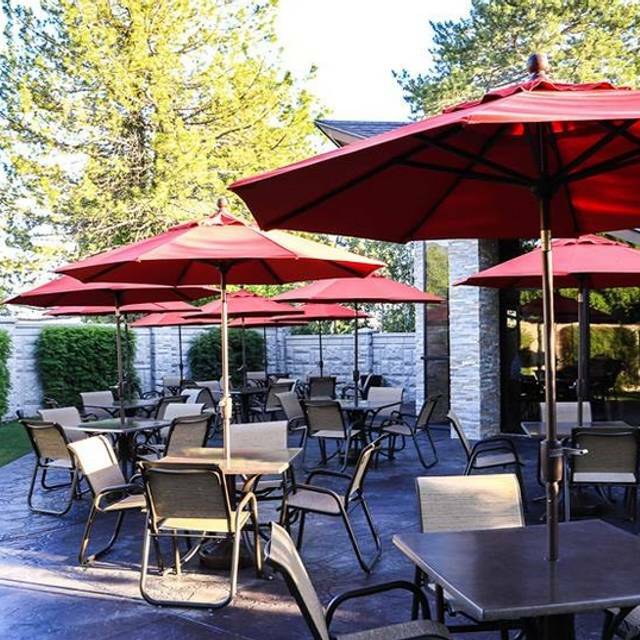 For a restaurant that marries New York-style fare with the laid back Salt Lake living, visit Primo Restaurant in Holladay, Utah. 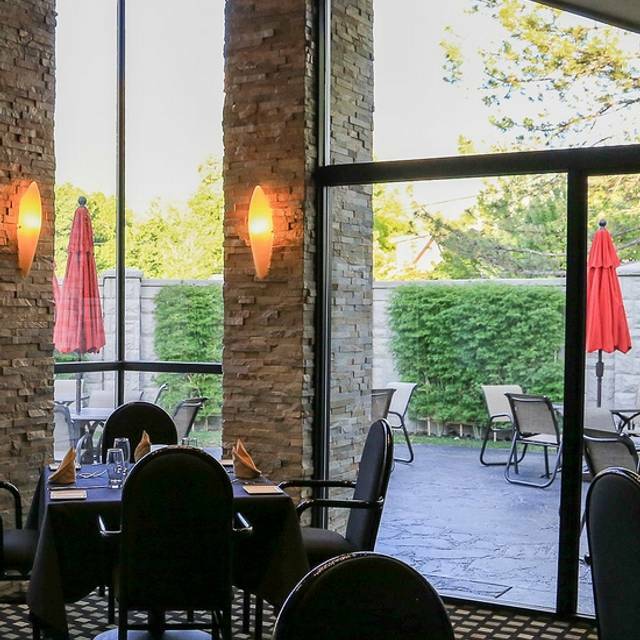 The venue is elegant with decorative seating and a private patio available during warmer seasons. Enjoy a view of Mount Olympus as you dine on a menu of comforting surf and turf options at Primo Restaurant. 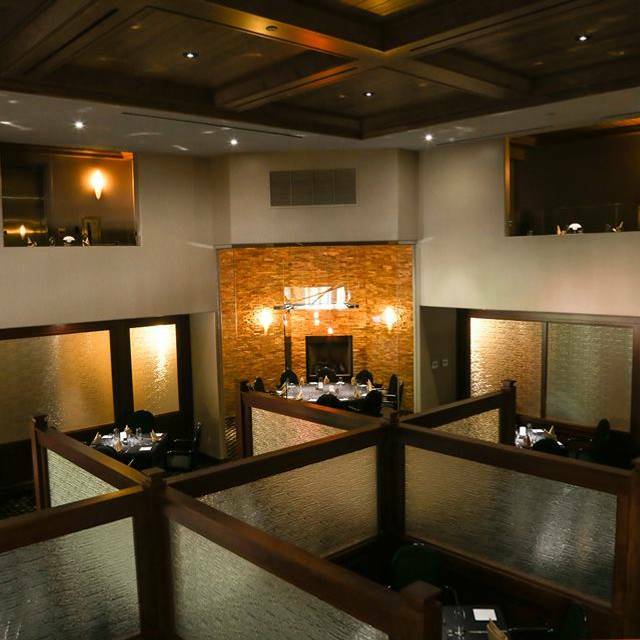 Special fare options at Primo Restaurant include tortellini Bolognese, fresh fish of the day, veal marsala, filet mignon, rack of lamb and more. Each item on the menu can be paired with a list of wine selections provided by the restaurant and served at your table. Where to start. The place is a step back in time to the 1970’s. Not much of a food selection for a $50. a plate Easter Brunch. No Easter Decorations. Dark restaurant. The food was cold and hard except for the fresh omelets, the prime rib was good. The side dish. Just 1. Was cold. One of the waitresses heard my wife and I talking. She knew we thought it sucked. She brought us out some good bread and some chocolate cake and ice cream. She saved the day! The omelette guy was very nice. We thought we would try somewhere new for holiday brunch. We won’t come back here. The owners need to go to a brunch at Grand America or Stein Erickson. That’s how you put on a brunch. This was my second visit. The first had delicious pasta with bolognese sauce, so I returned and our table ordered orange roughy and chicken picata. The fish was moist but slathered in butter; the two chicken dishes were overcooked and dry. The vegetables were uninspired, and mashed potatoes were loaded with stuff to be avoided. Amazing experience! Food was great and service was amazing!!! Can’t wait to go back! A very special evening with guests. Honored our request for the table location. Very attentive and professional. Food was very well prepared and presented. Awesome place. Great layout, beautiful interior and the food and service were outstanding. Looking forward to going back over and over!! This is a restaurant that my husband and I have been wanting to try. The restaurant is in a former reception center and is connected to a spa and salon, which is a bit unusual. Since the restaurant was once a reception center, it is very large inside, but the tables are tucked into nooks, so it feels very private. The service was outstanding and the food was very good, though pricey. The server first brought out bread and two pieces of bruschetta. I loved the bruschetta. We next shared a Caesar salad, which was just ok. For our main meals, my husband had the veal special and I had chicken piccata. Both were delicious. We had a wonderful experience at Primo’s. Our friends from out of town were very impressed and we had such a great evening there. I recommend it all the time to people I know & will continue to return to this outstanding restaurant. THe service and the food were fantastic, as always. Thank you, Samir and staff, for making our night at Primo a great one! A gem we didn’t know existed. Excellent veal piccata and orange roughy. We’ll be back. The hostess seated us, walked away and after 10-15 minutes a young male waiter finally asked us if we had been helped. It just got worse from there. I had to ask for menus and a wine list. 20 minutes later the same young male waiter asked me if I ever got the wine list that he was supposed to bring me. 2 to 3 different people brought us food. We never did see the male waiter again. I had to ask for more water and the people with me were not asked if they wanted refills. The food was good. The service horrible and to top it off they overcharged me for a dish. Great service, food and ambiance. We didn’t feel rushed and were able to visit with our friends. Loved the round table!!! One of the most memorable dinners I’ve had. The staff was great and the food was better. We felt we were taken care of extremely well. I will definitely be back. Every month a group of 6 get together to celebrate life & the memories of those we have lost 😕. The food was mediocre. I really expected more. For a Saturday night the restaurant had few patrons. The menu was limited but specials made up for it. The meat sauce for pasta was below average. I will try again but be forewarned. The restaurant was beautiful! It was very quite and that was great for our Anniversary dinner. The food was good but even better was the service!! I cannot say I have ever had better service any where ever! Our waitress was great. She knew when to check in and when to leave us alone. They have a separate bar staff that also checked on our drinks, and made an amazing chocolate martini ( that was my dessert!) speaking of dessert, my husband got the tiramisu and it was fabulous!! If you are looking for a quite place with great service and food, give Primo a try. They also have several party rooms which would be great for big groups! We visited Primo Restaurant about a week ago for dinner. The atmosphere was great. The service was exceptional. The food was incredible, perfectly cooked and wonderful taste. The food in this place defines mediocre. It would appear that it is primarily an event center that accommodates other patrons. The food quality is exactly what I would expect from a kitchen making 40 plates to serve at one time (which they were doing for a wedding rehearsal). It was not what one should expect for a $40 entree. I had the shrimp scampi. 6 nice sized shrimp, cooked until they resembled rubber, set on top of a gelatinous sauce. Side of reheated spaghetti noodles. The Caesar salad for two was romaine coated in jarred dressing with two croutons. The service was good. They earned their tip. Ahh well. We tried it. Won’t do it sgain. Excellent Italian meal although the chicken parmigian was a huge portion. Certainly recommend a half portion. Service was excellent and we had a great evening. Although I travel and eat out extensively, I do not submit reviews. This is like the third in my life! And will be the hardest I have ever had to write. Primo is our FAVORITE restaurant - we average about twice a month and tell everyone how much we like going there. When we decided to go out on Valentines, there was no hesitation - Primo. We eat there because we love the ambience, they always have our favorite wine, it is chilled to perfection and we always eat the same item off the menu. Tonight: 1- we were seated in the main traffic flow instead of a quiet table which were available, but the tables were not set; 2- we did get to order our wine and it was promptly served and chilled just right; 3-no bread and when someone else finally brought it, it was cold and all of two pieces, not warm as usual; 4- we were informed of a "special menu" because it was a holiday, "because we get busy in the kitchen and if you want our regular food never come on a holiday"- (by the way, we won't). Of course the single most popular item on their normal menu, the reason we go there, was not on the menu tonight so they wouldn't get backed up; 5- an hour into our evening, "here is some soup on the house, we are really backed up in the kitchen". No thanks, I am not into bean soup; 6- my $47 filet mignon arrived about 15 minutes later, tasteless but tender-I appreciated the choice of two ways to prepare a filet or a rack of lamb in my favorite Italian restaurant; 7 - Primo you swung and missed tonight in a big way and that special menu you offered instead of your usually great one because you were going to be busy, guaranteed you won't be as busy in the future- arrivederci! The food was way overpriced for what you received. I was disappointed because the tables and view was great. 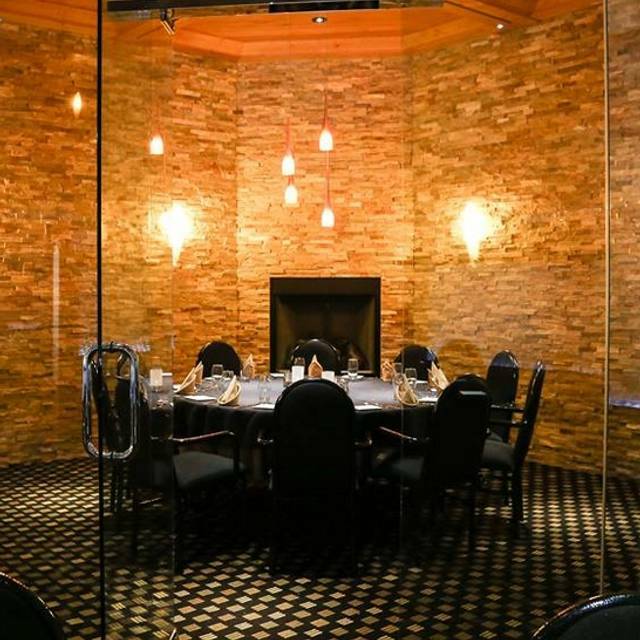 we got the private room for the 8 of us and it was a great time at the large round table with our own fireplace. Everyone was happy with their menu selection, quality service, and overall experience. It was a brand new restaurant for everyone except me. Thanks Primo for giving us a memorable dining experience! 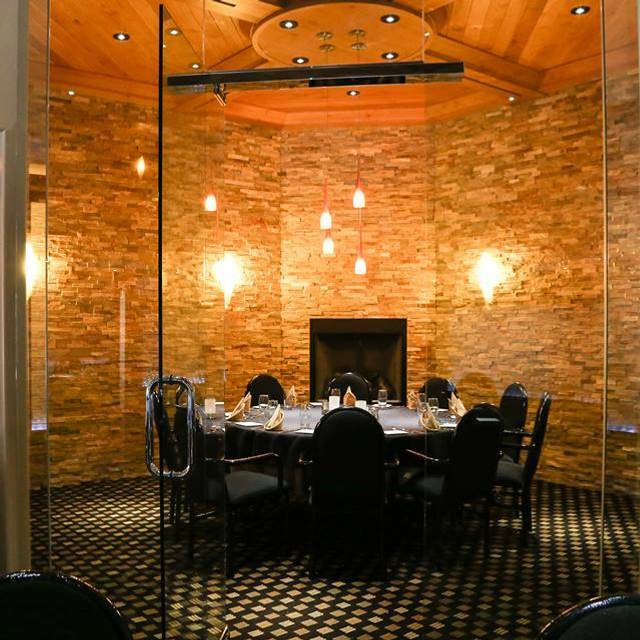 Our party of 10 had a private room with a fireplace and big round table that made it very easy to visit. Our waitress was very attentive but at no time did we feel rushed. One person ordered the special but was later informed that they had run out and needed to order something else which was not a big deal to this person. However, the chef provided dessert to each person and came to our table to apologize. It was definitely an "above and beyond" moment for the group. We'll be back! I loved the quiet atmosphere-a nice change from bistros. Pretty place. The menu was fairly small and lacked originality . A side of partially cooked, unseasoned baby carrots, broccoli and cauliflower? Really? Nice veal chop. Boring Ceasar. Very expensive. One of the best and largest filets I have ever had. Too many servers working our table (4). Throwing bodies at it doesn't make up for professional service. Check dropped off before we had been served desert. The server that dropped the check off didn't realize we were waiting for desert, and didn't ask us if we needed anything else before leaving the check. We were served coffee with desert and weren't asked if we needed refills. There were only three tables with patrons, but we were rushed through dinner. The check arrived one hour and five minutes after we sat down. The right hand doesn't know what the left hand is doing. Menu has been paired back. Chicken piccata tasteless. Ice cream scooper used for mashed potato portions. This was our third visit in 2015 and we won't be back. Menu prices don't match service or quality of food. The restaurant was empty on a Saturday night so I am afraid others might feel the same. The restaurant has a nice feel but we were so disappointed with the food. Just not good. Boring. The service however was excellent...I think we had 3 people helping us. Almost too attentive if that is possible. The new look is fantastic. It's obvoious a good deal of thought (and money) went into the look. It is both classy and slightly understated at the same time. The finishing touches, woodwork, lighting etc. work very well together. The service was well timed and excellent with the staff recognizing quickly we were not in a hurry. We both had specials. The stroganoff was made with center cut filet which did not require a knife to cut and the sause was flavorful without overpowering the dish. The sea bass was prepared with a light coating and lemon/wine sauce and was cooked perfectly The house wines were reasonably priced and worked with the meals. Glad Primo found a new location, adds to the two or three other very nice resturants close by in Holladay. A friend recently told me that Primo is his new favorite restaurant in Salt Lake. We tried it and have returned three times since. The chicken entrees are not our favorite, but everything else we have tried has been excellent. We love the berries dessert. Service is excellent. Easy parking. Atmosphere is very nice. Fantastic Italian food. Their menu is scaled to contain only the best dishes then they specialize in them and execute them well. The service was second to none, always there when you needed them. The chef even came out to make sure everything was to our liking. They are in a nice new modern building that they built two years ago and it feels like you're in San Francisco or LA. We had a table of 4 and ordered an appetizer, when they brought it out it was split on to 4 plates for us....nice touch! The bruschetta and our appetizers were awesome! My wife and our friend both had the Shrimp Diavolo and they raved on and on about the size and quality of the shrimp. Had a great time in a private room for eight friends! We had not been to this restaurant in 16 years the owner remembered us and treated us like royalty . This was our 1st time and we all enjoyed it very much and will go again! This is our second visit to this restaurant. I'm amazed at the lack of customers... Our meal was excellent, the service was steller, but the place was empty. I'm questioning why? It is my hope they make it, but I don't give them much of a chance. Our food was wonderful and the wait staff were very friendly. However, it's a bit pricey. One appetizer, one glass of wine, one cognac, one salad, two entrees, and one dessert was $140. Definitely can't afford to dine here on a regular basis. We had dinner on Friday night with a friend from California. We sat on the patio and it could not have been more perfect! The weather was great, the patio is beautiful and the food was very nice! Love the spinach salad! I have heard positive comments about Primo but the Mother's Day Brunch was a disappointment. This meal is not their specialty. The salad was lettuce only with a selection of salad dressing. The muffins tasted and looked like they were from Costco. The dessert was cut yourself and was only one option. Not worth the $45 per person charge which did not include juice for an extra $4. Sorry. I really wished it was better. 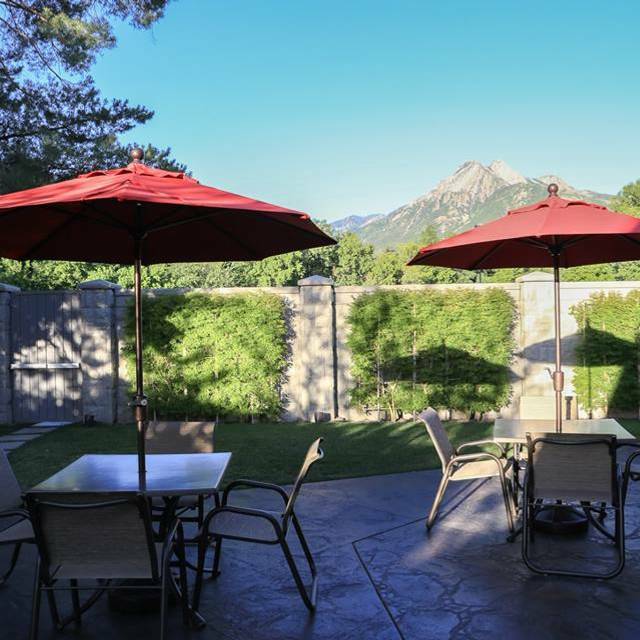 This restaurant was one of my favorites, however I have eaten at the new Primo twice now since it moved from Cottonwood Heights and the service has greatly deteriorated. The menu is the same and the food is always great. But when I go out to eat I expect the waiters and staff to be equally great and unfortunately that is not the case at this newer larger location I hope they get it together because the owner is a nice guy and hard worker.